Losing weight can be frustrating to obese people. Many engage in calorie restriction, starvation, and rigorous exercise. However, only few are able to achieve appreciable weight loss with these interventions. The use of pharmacological agents hasn’t produced satisfactory results and has been limited due to the side effects of the medications. The associated disease conditions such as diabetes mellitus, hypertension, sleep apnea, etc. are the risk factors for cardiovascular disease which in turn is the leading cause of death globally. The above interventions do not bring about significant improvement in these diseases. It, therefore, implies that many obese individuals need more efficient treatment to achieve weight loss and resolution of the associated disease conditions. Gastric sleeve surgery is one of the restrictive bariatric surgeries that offer significant weight loss and resolution of the obesity associated disease conditions. The stomach is reduced to about 10-20% of its original size leading to a reduction in calorie intake and ultimate aim of inducing weight loss. The surgery is often done by laparoscopic approach. All bariatric surgeries are to be complimented by dietary and lifestyle adjustments, failure of which the already lost weight may be regained. Weight gain after gastric sleeve surgery is counterproductive as this may be accompanied by worsening of the aforementioned disease conditions, poor quality of life and untimely death. Factors responsible for weight gain after gastric sleeve surgery are: stretching of the stomach, non-adherence to dietary plan, and lack of adequate exercise. The sleeve shaped stomach after gastric sleeve surgery has the capacity to stretch to almost the original stomach size. This is made possible by the anatomy of the stomach. The lining (mucosa) is thrown into fold and normally stretches following meal and return back to initial size few hours after meal. The muscular layer also gives the stomach some degree of elasticity. Consumption of small amount of food leads to sensation of fullness and the appropriate response is to stop eating. 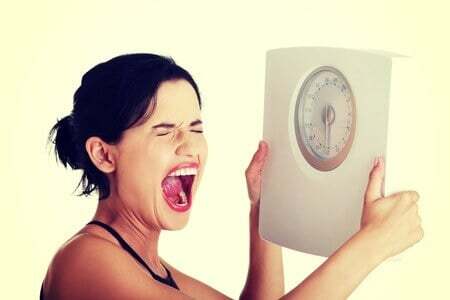 Ignoring this sensation and excess food intake may lead to permanent stretching and enlargement of the stomach resulting in more calorie intake and weight gain. Adherence to dietary plan plays an important role in the overall weight loss after gastric sleeve surgery. Excess food intake, drinking within 30 minutes of a meal, consumption of carbonated drinks and refined sugar are ingredients necessary for weight gain. They all result in stretching of the stomach. Exercise helps burn excess fat and contributes significantly to weight loss following bariatric surgery. Most surgeons will have initiated it before surgery to increase the chance of continuity after the surgery. Lack of adequate exercise may also contribute to weight gain. Weight gain after gastric sleeve surgery can be addressed by various means. The first step is to ensure healthy dietary habit and adequate exercise. For those with stretched stomach, pouch reset should be attempted. Pouch reset is trying to return the stomach back to the size it was immediately after surgery. It involves reverting to the immediate post-operative diet, moving from clear liquid to semisolid and finally to solid diet. This takes an average of about 10 days. Although the stomach may shrink, return to the immediate post-operative size is still a subject of debate. Gastric sleeve revision surgeries are other ways of addressing weight gain after gastric sleeve surgery. Options include re-sleeve surgery, gastric bypass surgery, and duodenal switch with biliopancreatic diversion (BPD-DS). Re-sleeve surgery is similar to the initial gastric sleeve surgery. It entails resection of the stretched stomach to achieve the desired size. Gastric bypass and duodenal switch have in addition to the restrictive mechanism, a malabsorptive component making them more efficient in inducing weight loss. They, however, have their risks and complications. In conclusion, weight gain after gastric sleeve surgery is a sign of gastric sleeve failure. It occurs in about one-third of all patients that undergo this procedure and commonly noticed after the first two years post-surgery. The primary cause is the stretching of the stomach and subsequent increase in calorie intake. Adherence to dietary plan and adequate exercise are the preventive measures. Although revision surgeries can provide a lasting solution to this situation, they are not without their complications. Proper evaluation is therefore needed to ascertain the fitness of the patient for such operative interventions.